It’s my turn in the backseat. We’re halfway home on an 18-hour road trip back to West Texas from the Tennessee Smoky Mountains. Our college sons are in the front now—one drives while the other plays the music. I’m enjoying the scenery from the back. 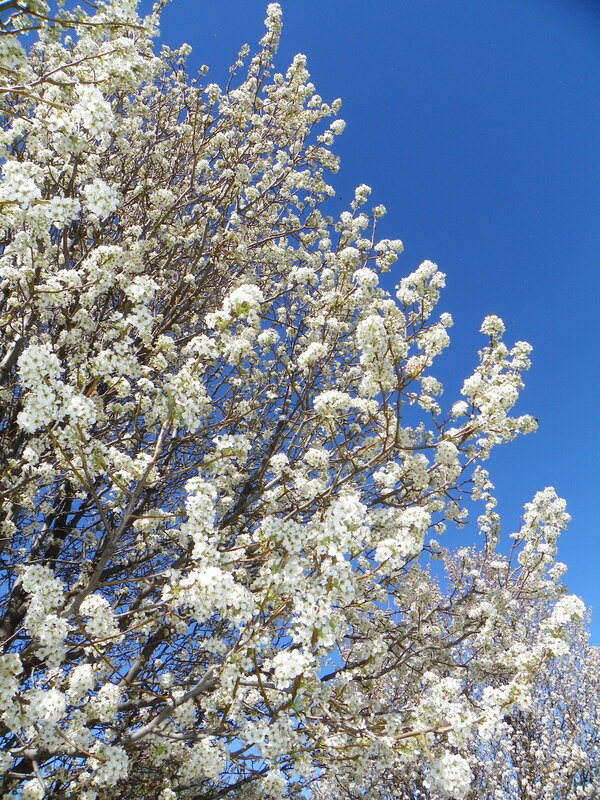 The pear trees spread their blooming white splendor across the mountains and the redbuds line the fields and highway–both signs that it’s a new season. Spring is here. The fact that I’m sitting in the backseat is a sign that it’s a new season in our family too. The last time I saw the Smoky Mountains in the rear view mirror was nearly 30 years ago when Gary and I honeymooned near Gatlinburg. We drove out of the mountains dreaming of the first season for our new family life. Goodness, we’ve had plenty of season changes since then. We’ve added four kids to the family, changed careers and moved a few times across state and international lines. We’ve had seasons when we were barely holding on. And we experienced seasons when we thrived. We’ve passed through winters of darkness and enjoyed spring seasons of joy. So today, while I sit in this backseat watching signs of spring pass by, I’m reminded of all the seasons that our family has passed through since the last time we drove out of these Smoky Mountains. Remember that the season you’re in is a season. It won’t last forever, for better or worst. Circumstances change. Kids age. Parents age. And yes, you age. At times this will be comforting–when you’re barely holding on and wonder if it will ever get better. Other times this thought will be distressing—you’ll love the season and don’t want it to change. But one thing you can count on—seasons come and go. Change happens in family life. Embrace the season. If you’re not careful, you could miss the season you’re in. When we try to short cut a season, we miss what that season has to offer. Be careful not to constantly look ahead, longing for a new season. And don’t cling so tightly to the season behind you that you miss the present. 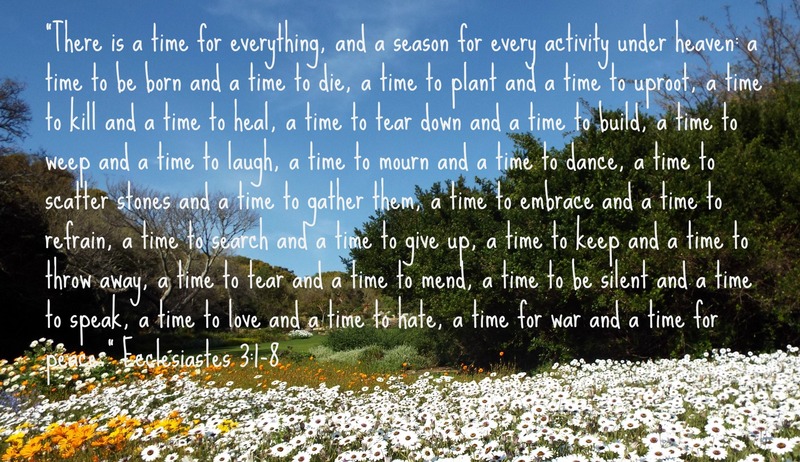 There is time to embrace all seasons. Recognize new seasons and make adjustments. Sometimes seasons change, but we forget to adjust. Maybe we don’t adjust because we don’t recognize the change of seasons. Or maybe we don’t adjust because we like the way things were. We’re determined to stay the same. We’re that person who keeps wearing the flannel shirt when it’s 90 degrees outside. When your seasons change, recognize it and adjust. Adjust expectations of yourself. Adjust expectations of others. 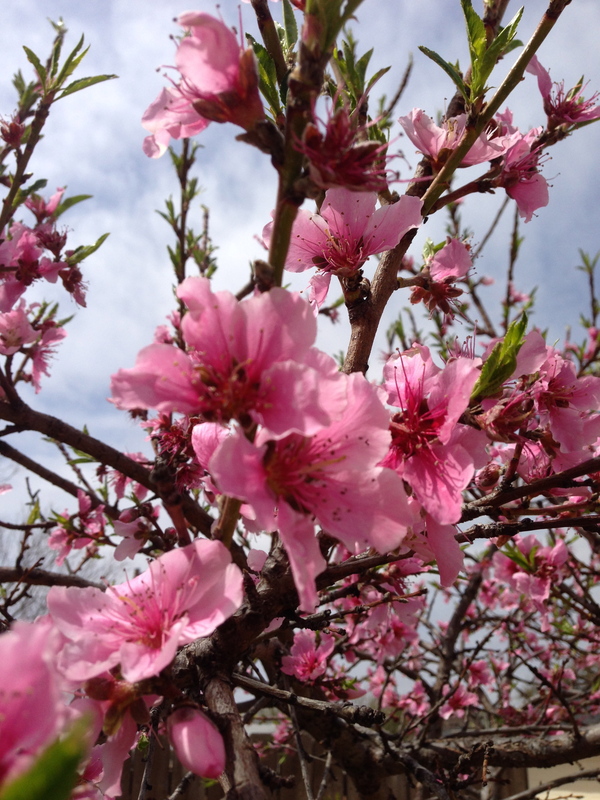 As sure as a new season arrived in Tennessee with pear blossoms on the trees and daffodils sprinkled across the fields, families pass through seasons too. Spring blossoms. Summertime lingers. Fall transitions. Winter settles in. We celebrate growth. We grieve loss. We thrive. We’re stretched thin. We persevere. We mature. We settle. We uproot. We have conflict. We reconcile. We stay together. We spread out. Change is a constant in family life. This road trip has reminded me of that. It’s reminded of the seasons we’ve passed through since nearly 30 years ago. And it’s reminded me to pay attention to the season I’m in. And pay attention to seasonal change and make adjustments. Speaking of adjustments, it’s time to make an adjustment on this road trip. We’re pulling off the interstate now to pick up a pizza we called in. And it’s my turn to move to the front seat. Goodbye Smoky Mountains. Hello Texas. 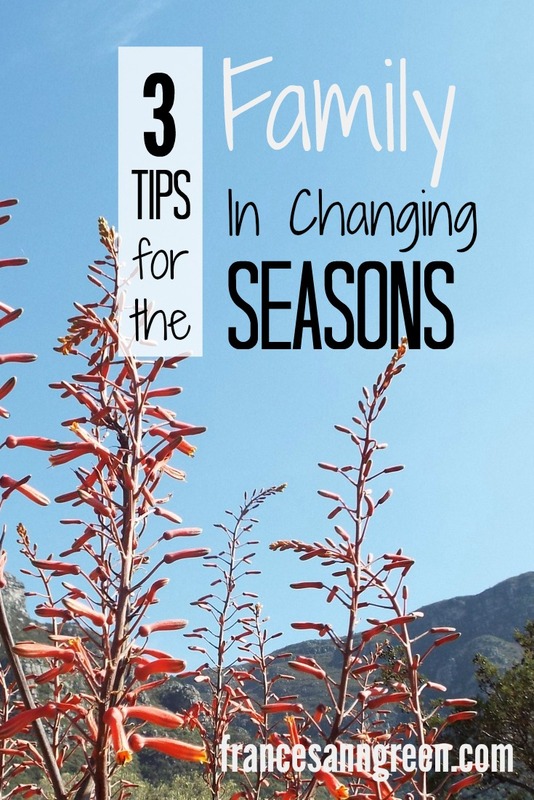 What are some tips you’ve learned about passing through seasons in your family? Joyce, Thanks for leaving a message, it encourages me to hear from you here! I love that you and Mike were such a big part of our season as newlyweds. Such fun memories on Picket Street!